I provide images that have both visual impact and an unusual level of detail. 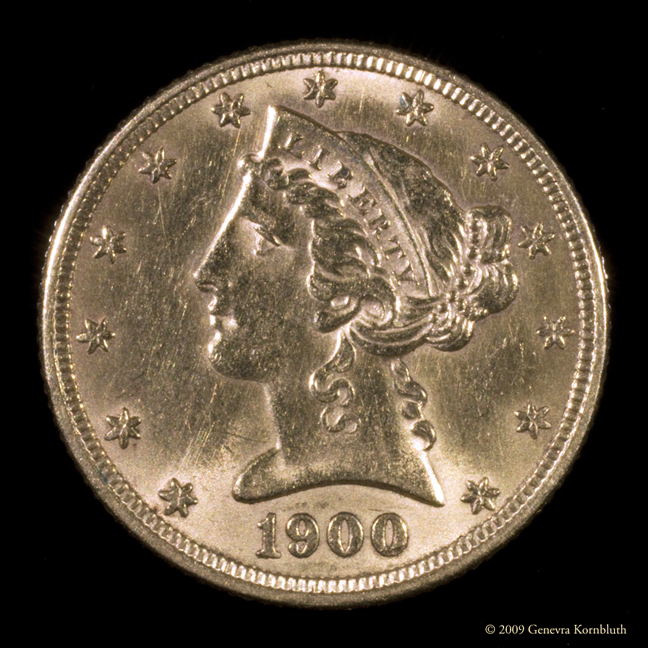 For collectors and dealers: I will photograph your collection of gems, jewelry, coins, stamps, or other items for documentation and/or publication. Sometimes a single view, as highlighted on this site, will be best. In other cases you may want combined images. 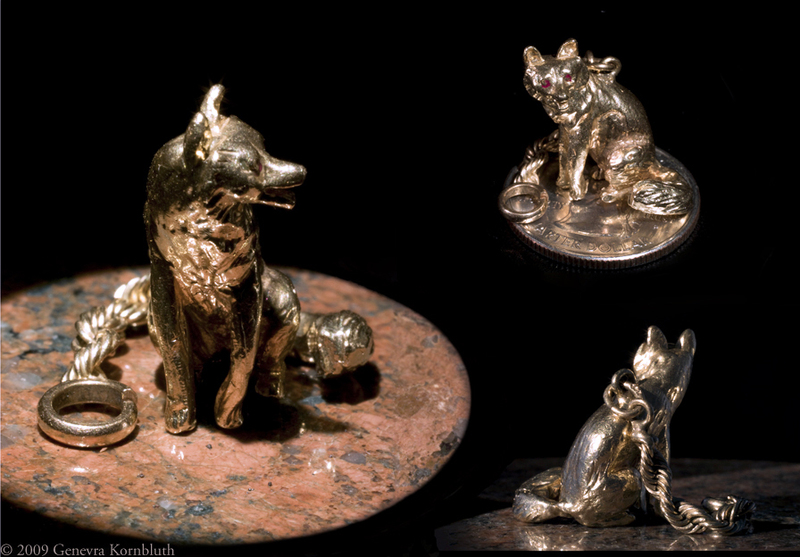 Compare the individual shots displayed in miniature sculpture with the composite on the right. I will also either shoot the details you specify, or help you to determine the most important ones. 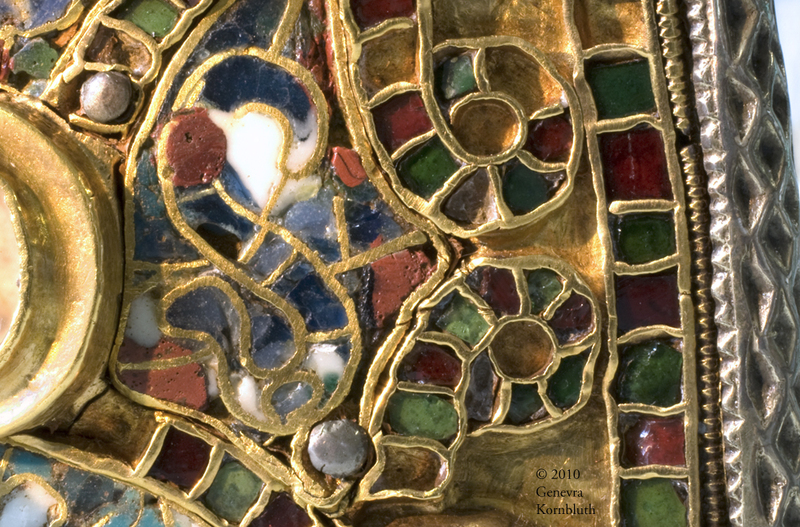 On this eighth-century reliquary, for example, I document the use of both enamel (on the left of the detail photo) and garnet and cut glass inlay (on the right of the same photo). 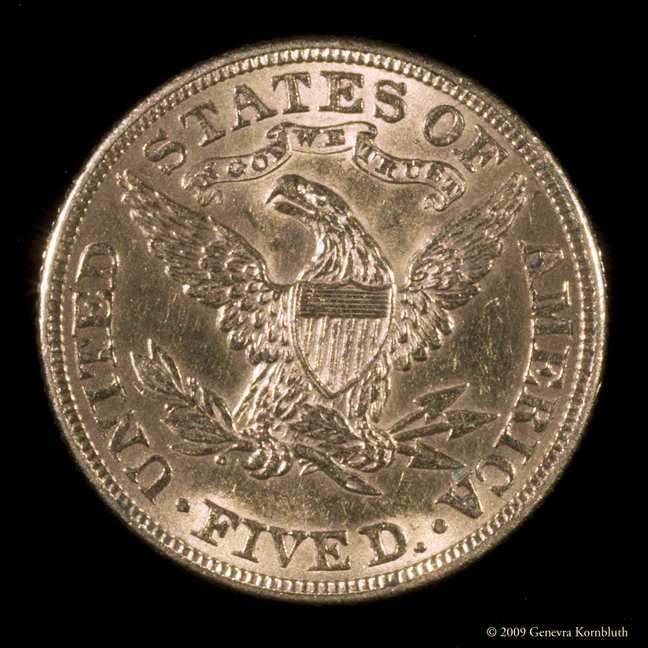 For insurers and appraisers: In addition to showing the beauty and historically important details of each object, my photographs also fully document condition. 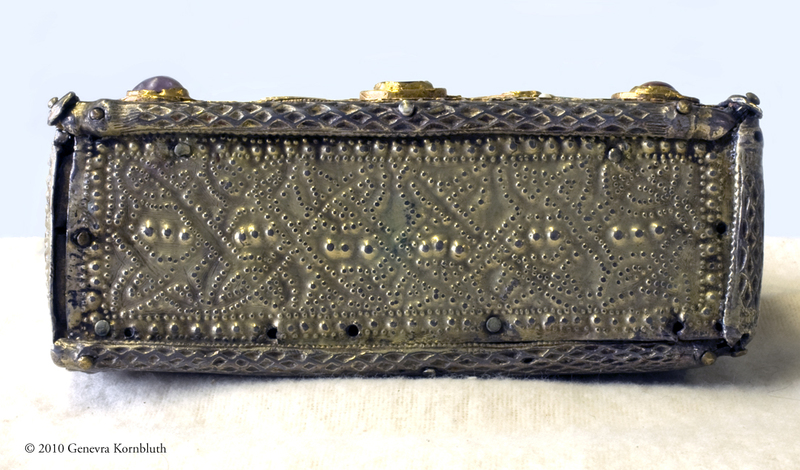 The base of the Enger reliquary discussed above, for example, is held on to the wooden core with replacement nails, there are several holes in the main plate from nails previously used in repairs, the gilding has been lost from many protrusions, and one edge strip is lost and another has been bent out. Likewise, the fox watch fob discussed above is generally in good condition, but is marred on one flank. My photographs are sufficiently detailed to show both damaged and undamaged areas. For scholars and publishers: Please examine the clarity of historical objects shown throughout this site. 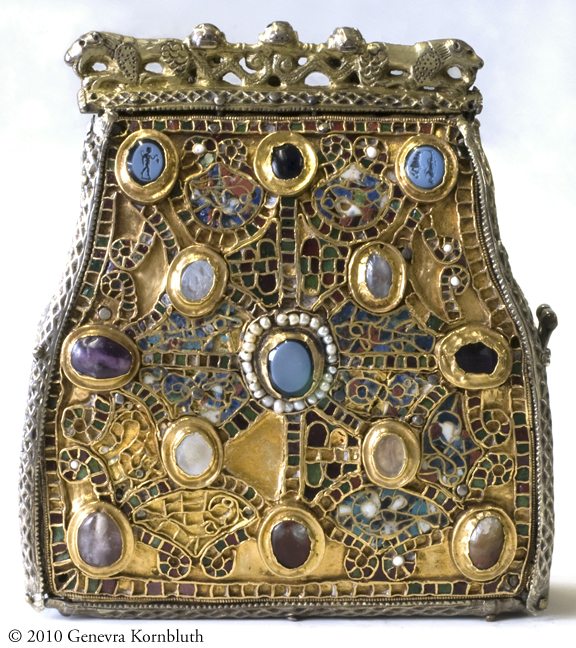 My photographs of objects like the Enger reliquary discussed above make studies of technique convincing. 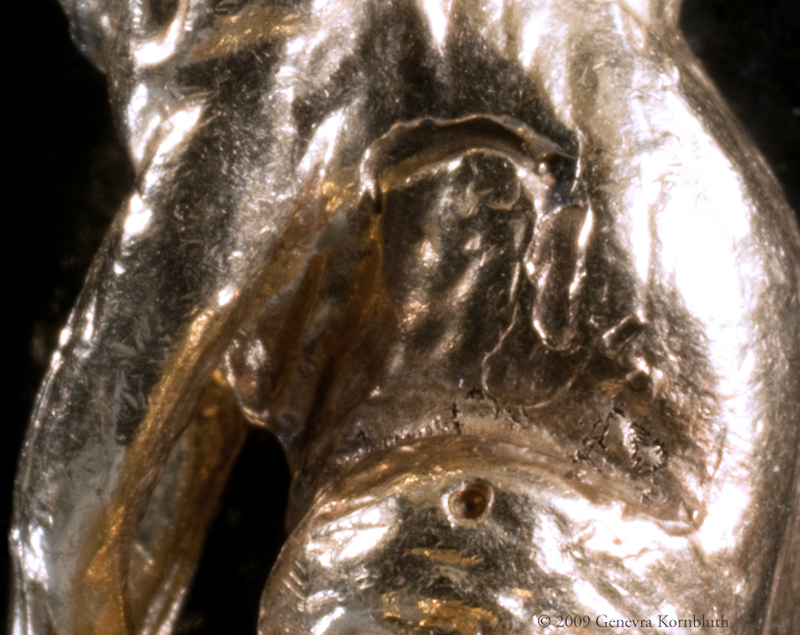 In addition, unusual iconographic and stylistic features are often difficult to see in overall views of small objects. I can make sure that readers will see those important details and therefore respond to arguments concerning them. 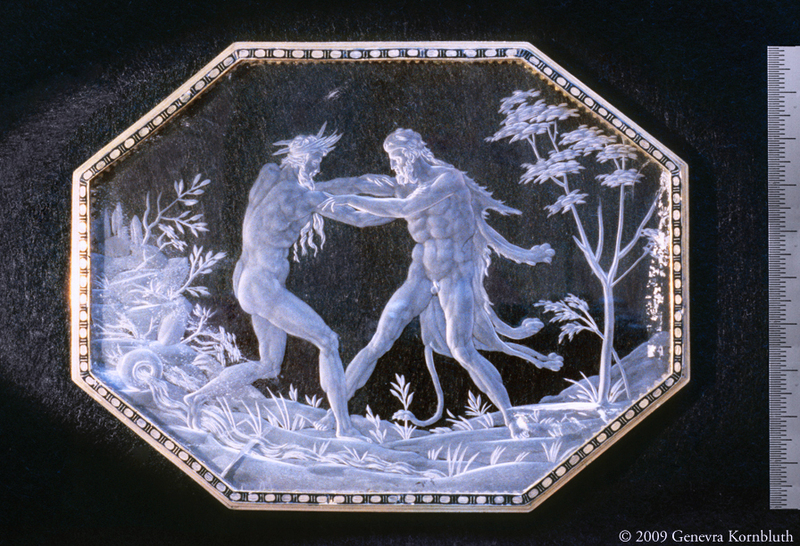 Here, for example, is a rock crystal intaglio engraved with Hercules and Achelous, set in enameled gold (Annibale Fontana, c.1560-70, Baltimore, Walters Art Museum). 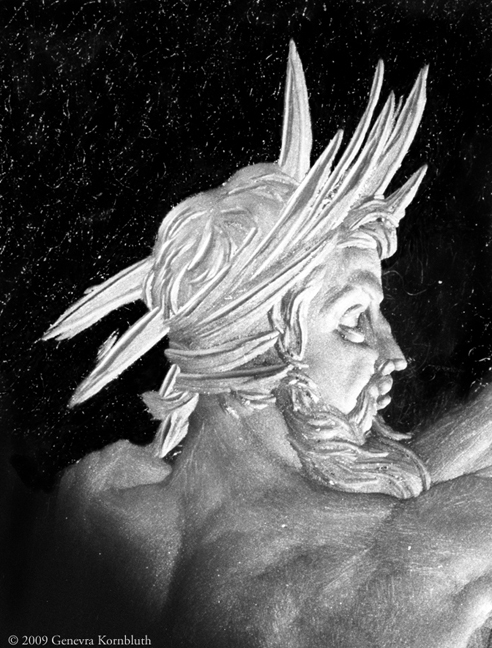 My photograph of the head of Achelous documents the head-gear of the river god, his facial features, and the musculature of his upper back and shoulder. 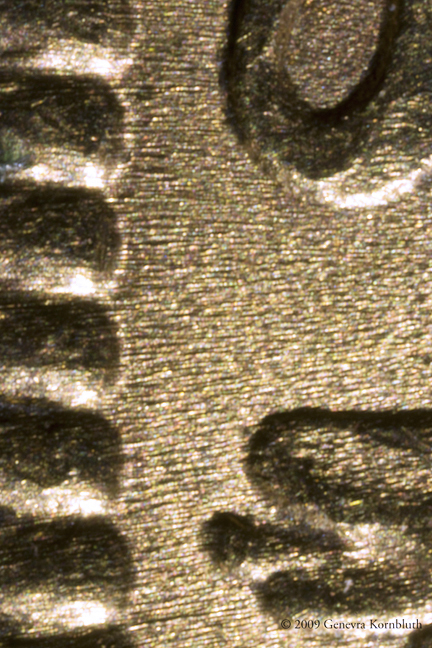 I can photograph the objects important to you in similar detail. I have a large historical archive, particularly strong in Roman and medieval art. Most of these photographs may be licensed for publication. I will also help you find historically appropriate images that are not in my archive, and I can digitally correct many of your own problematic photographs.